Many people talk about a singular experience that helped shape their life's work. For me, it boils down to a 15 foot-long elephant seal named Meaty Boy. He was the leading bull elephant seal on the Farallons Islands, just 30 miles off the coast of San Francisco. The island is perched in the Pacific Ocean like a golden jewel, and can be seen from the mainland on a clear day. In the springtime, it becomes green with miner’s lettuce and succulents, well-watered by the rolling fog and mist that usually encompasses the area. It's home to sharks, innumerable birds, and several types of seals. Elephant seals get their name from the male’s large proboscis, which has some resemblance to an elephant's trunk. They were hunted to the brink of extinction in the 19th century, but they are on the rise again. Our goal was to tag this colossal marine mammal using a tool that looked like a one-hole paper punch. Bird poop covered everything on the island, and walking towards the elephant seals colony required some creative trail selection across the rocky shoreline towards a moderate beach. I was graduated from Colorado State University the year before with a degree in Mechanical Engineering and had decided that the only industry I wanted to work in was solar energy. I simply had a one-track mind and I wanted to "do well by doing good." My thinking was: Spread clean energy and make it part of the energy mix while also blazing new territory and making a living. Other industries that focused on extracting raw materials from the earth or building defense products were more prominent and paid better. But the nascent solar industry was immature and needed a destination. In 1998, it was seemingly still for hobbyists, developing countries, farmers and off-the-grid survivalist types. It was challenging to find experience in those early solar industry days, so I went to an industry conference. The annual solar industry trade conference was in Washington DC that year. It took all my resources to get there and I quickly discovered photovoltaics were the hot advancement happening before my very eyes. Solar cell efficiency was increasing quickly, and manufacturing volume was only beginning to grow as solar panel prices hovered around $4.50/Watt. There seemed to be some real opportunities and Steven Strong presented what turned out to be a breakthrough: the alternating current solar panel. I was star-struck, as much as any engineering nerd could be, by one particular company based, of all places, in overcast Olympia, Washington. Run by a husband and wife team, Applied Power Corporation, was a small company of about 10 people. Their projects spoke to me, and I got to know them. Jump ahead six months, and I was freshly relocated to a small attic apartment in Olympia, Washington. My dream job was paying me just enough to get by and I was pinching myself. I rode my bike to work most days and became friends with the team. We ate meals together and helped each other at work and with personal projects. At work we loved what we did: selling and installing solar equipment. Our clients included the National Park Service, telecom companies, utility companies and farmers across the globe who needed to pump water in remote places. We also designed and installed complete operating solar projects. 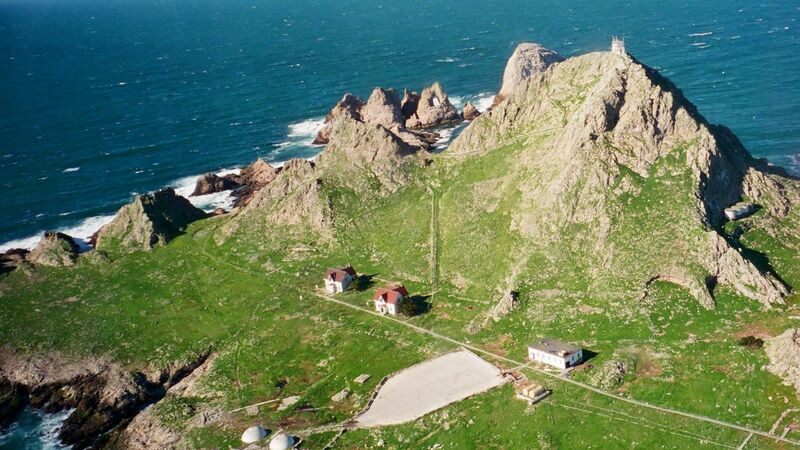 And that's how I ended up at the Farallon Islands National Wildlife Refuge, where our team set up a complete solar energy system and I later got the chance to play marine biologist. The U.S. Fish & Wildlife Service had been operating diesel generators to run the housing and research facilities on one of the islands, until they had several spills in this sensitive environment. Our elegant solar and battery storage solution mitigated environmental fuel spills by replacing 95% of the diesel fuel with solar energy. We installed a 20kW rooftop solar array and a 60kWh battery bank. This system would provide all of the island’s energy needs unless they ran really high loads, such as the loading crane at the only dock on the island. In the event of the typical foggy or overcast marine weather, the battery bank was designed to operate the island for 4 days continuously without support from the solar array. The generators were setup to automatically charge the batteries or bypass the battery system when needed. I was on the island for just 10 days, but it gave me the opportunity to live in the shoes of a wildlife biologist, if only for a short time. The resident biologist from Point Blue Conservation Science invited me to help with the tagging. We carefully walked around the back of the massive elephant seal. Surrounded by his harem, Meaty Boy was unsuspecting. And the sounds of barking harbor seals also helped conceal our movements. The new plastic tag was about the size of a key with an embossed number identifier. We would insert it into a thick skin spot near where its ears would be located. Elephant seals do not have flappy ear protrusions, but rather ear canals. The canals work well underwater, allowing them to vary the pressure inside the ear to accommodate deep dives of up to thousands of vertical feet. His wide-bodied figure was sprawled out on the beach, and we stepped over carefully, quietly. I reached to a flap of skin near his ear holes, and gave one quick snap. Meaty Boy recoiled, his dense fatty head jolting backwards, and groaned disapprovingly. I jumped back and tried not to trip on his pups or harem. The task was done. The few remaining days of work were finishing up and I had a moment to reflect on the journey. Fast forward 5 years and I am a newlywed and moving to Davis, California to start my own company located in the heartland of the United States’ solar energy industry. But I still like to think back to that time in the early days of my career. It was the Farallon Islands project, and several others like it, that opened my eyes to the need for detailed engineering planning. Designing a solar project with proper foresight and planning can reduce costly errors and extensive labor needs in the field. After all, the Farallons project was on an island and the hardware store was a long helicopter trip away. Looking back, it was the experience with Meaty Boy on Farallon Island that gave me the insight and intuition to identify what it was that I loved doing. It was that project that excited me and filled me with a drive to install as much solar energy in my lifetime and drive our energy mix more towards clean energy.